The Kim Kardashian diet changes slightly every 10 days. She eats almost the same thing every day. The Keeping Up With The Kardashians star gave an interview about her diet to Harper’s Bazaar. The May 2015 issue of Harper’s Bazaar reveals Kim’s diet. Kim shows you what she eats in an average day. 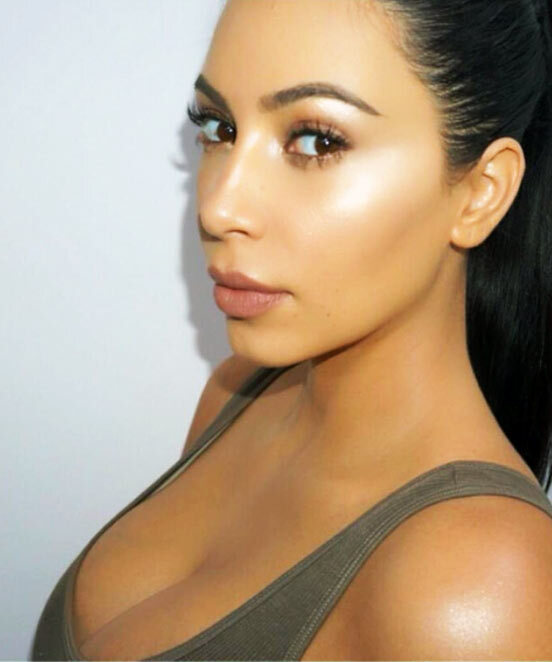 The article, 24 Hours With Kim Kardashian, reveals Kim Kardashian’s diet. Kim Kardashian eats eggs or oatmeal for breakfast. Sometimes, she has a protein shake with frozen fruit. With Kanye’s influence, Kim now uses a personal chef who puts together her meal plan for the day. For Lunch, Kim has vegetables with chicken or fish. Sometimes, she gets an afternoon sweet-tooth. She fixes that with Justin’s peanut butter packs (healthy fat) or sweat tea (with Equal). Dinner is the same, Kim says more vegetables, with fish or chicken. This provides Kim with lean protein and fibrous carbs. I try to have breakfast really quick, before she’s up. but, I’m rushing. Always checking the monitor. I’ll usually have scrambled eggs or oatmeal. Or, a protein shake with fruit. Kim Kardashian says she eats healthy due to Kanye West’s influence. He has a personal chef, who puts together meal plans for the two of them. Kanye really loves to eat healthy and is always on different diets. He has a chef who comes in the mornings and cooks breakfast for both of us. He also gets our meal plans together for the day. We just started seeing a nutritionist who changes our diet every 10 days. I prefer to have a chef make my lunch because it will be healthier. Lately it’s been fish and vegetables. Or chicken and vegetables, something like that. In the afternoon, Kim Kardashian starts to feel a need to cheat on her diet. Kim says she gets a sweet-tooth that won’t go away. Luckily, she has found the answer to her temptations: Justin’s Peanut Butter or Justin’s Almond Butter Packs. 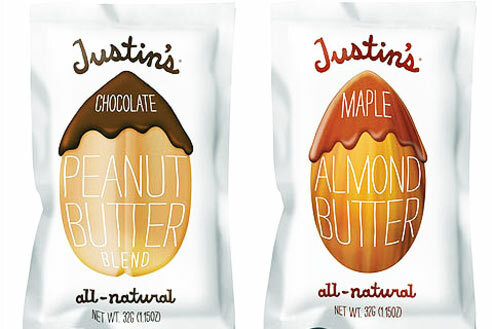 If I need a sweet-tooth fix, I’ll have those Justin’s peanut butter packs. The almond butter is really good! I’ll just eat it plain. Both products are good because they contain healthy fat. 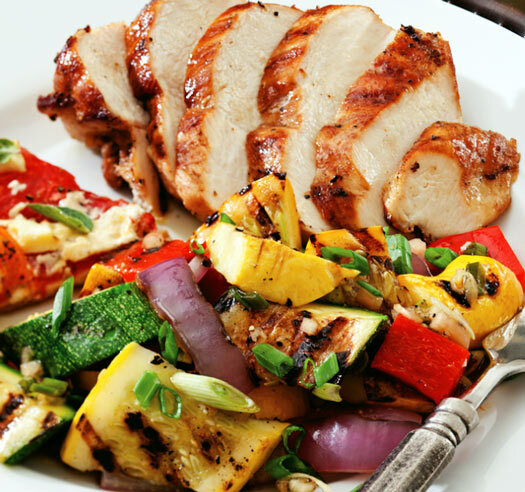 Fat is needed in every diet, because it produces all the hormones that regulate your body. I used to drink a ton of ice tea. But, I’ve cut back. I had the craziest addiction to Equal. I’d put 10 Equals in each Iced tea. I’ve trained myself to have just one iced tea a week, and I’m down to 3 Equals. I’m not really a coffee drinker. I like it, and I’ll have some when I’m jet-lagged. Maybe once a month. I try to drink water, Instead. Kim says that being pregnant, and being a mother, has affected her dietary choices. She now picks things, like water, that are much more pure. Natural and healthy is her new way to be, and eat. With help from Kanye, she wants to set a good example for her kids, nephews and nieces. For dinner, I have vegetables and fish or chicken. Just like lunch. I don’t really have cocktails or desserts. Haagen-Dazs is my biggest indulgence. 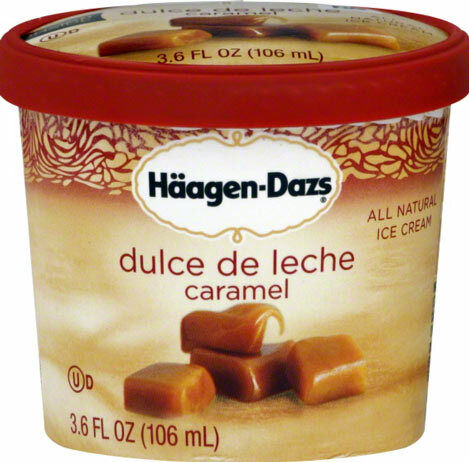 Their Dulce de Leche flavor is my favorite thing in life! Kim says ice cream is her cheat food of choice. In fact, she says Haagen-Dazs is her favorite thing in life! 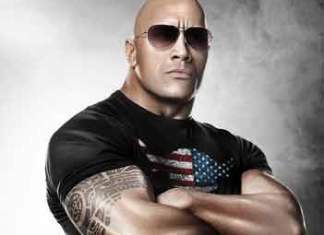 Previous articleKim Kardashian Fitness Routine Revealed! Kim K has been posting 4-5 year old full body selfies for the last few years. Any recent pictures are closeups of her face and cleavage. She’s a mom now and I don’t think theres much working out these days.